Your first step toward success as a professional coach is enrolling in an ICF Accredited Holistic Coach Training Program (ACTP). This critical decision not only positions you in the profession, it ensures you serve your clients at the highest capacity. In Part 4 of this five-part series we saw a few ways you can make an impact in your local community and throughout the world. This final installment reveals the impact you can have on those you care for most: your family and friends. Reason #5: You are empowered to help those closest to you. Some of us are simply born to be coaches. We instinctively fall into the pattern of helping others. Do you find yourself naturally coaching friends, coworkers and family members? How often do you share insights and tips based on your personal life experience? Do people come to you for your wisdom and perspective? Coaching communication is a powerful way to honor others and invite them to take the initiative in creating the life they dream of. That’s why the use of “coach-like” language is whole-heartedly encouraged in all aspects of one’s life. It presents a powerful way to assist others in living from their own perspectives, ideas and resources. But when we coach those closest to us, it can be more challenging to release our attachment to their process, choices and desired outcome. This is exponentially true if we try to do so without the tools and methodology of professional coaching behind us. Minus the proper training, it’s easy to feel or be directly impacted by a loved one’s choices due to the nature of the shared relationship. We are often bound by certain ideas and supporting beliefs we believe are best for our friends and family. This is a natural part of caring for others. And even though our ideas could in theory produce the best outcome, they frequently originate from our experience, as well as our wants and needs for those we care about. …and even what you should be doing with your own free time! The ICF considers coaching a professional relationship in which the client has formally agreed to be coached. The client provides the desired outcome on which the coaching relationship will be focused. Within such an agreement, you as an accredited coach remain neutral, unbiased and devoted to the coaching process. These skills enable you to retain your effectiveness at clearly, openly and neutrally communicating with the friend, family member or coworker to invite innovative ideas and awareness. This brings to mind a former student of mine we’ll call “Melissa” for confidentiality purposes. After a difficult divorce and an even tougher fight for the future of her kids, Melissa came to Whole Person Coaching wanting to start her own business. She was no stranger to looking at the depths of human nature. Melissa already held advanced degrees in non-violent communication and conflict mediation, among other disciplines. Like many of our coaches, she had also acquired numerous qualifications and certifications as a devotee in the personal growth arena. Add to that her hard-earned experience in working through the most difficult relationship of her life, and it was plain to see: Melissa had traveled the road firsthand. She was on a deeply personal mission. Melissa wanted to change the way divorce affected the family – especially kids. She believed peaceful co-parenting and effective conflict mediation could be possible despite divorce. 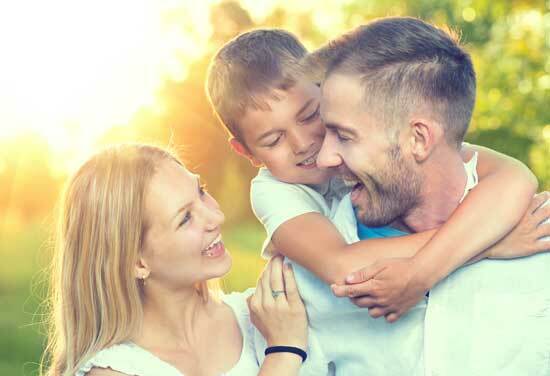 By filtering her own experience and desires through the process of Whole Person Coaching, she was able to provide a more stable, supportive environment for her kids, lessening the trauma of what had become a contentious split. 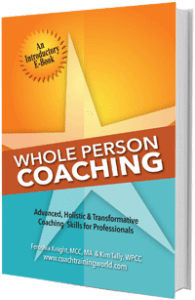 This was a key experience as she formed her own coaching practice. Like so many members of the Coach Training World coaching community, Melissa listened to her inner calling to do greater work in the world – work that would provide the lifestyle and community she deeply valued. Today she works with a wide variety of clients, helping all family members create happier, healthier outcomes. And like most of us here in the CTW community, our coaching skills aren’t just for our clients! Everyone benefits! If you’re like many of us and have heard from others that you’re a natural motivator, this final benefit is definitely something to take into consideration. You probably have exceptional skills at listening, inquiry, connecting and sharing with others – all of which are valuable to becoming highly effective as a coach. When you train as a Whole Person coach, you continue to foster these life-enhancing, coach-like communication skills. More importantly, you learn to holistically adapt them to the individual, focusing on what matters most to them by tapping into the wisdom of their whole being. Coaching is a powerful relationship tool. When you’re open, curious and unbiased as to who someone is and what they want in life, you’ll have the ability to give them the freedom and self-belief they need to achieve any dream or goal. Without professional training, the results you achieve will be unreliable at best. At worst, you run the risk of compounding the stress and frustration your friend, family member or coworker is already feeling. Think of a friend of family member who may not be living up to their potential. What choices have they made that stalled their progress? What would you have done differently? Do you have specific experience that could help someone work through difficult moments like this? Keeping in mind the individual you selected from the first exercise, take a moment to look at life from their point of view. What was beneath the choices that brought them to where they are today? How do their choices reflect their deepest values? Understanding the whole person gives you the deeper perspective you need to be able to truly help others. 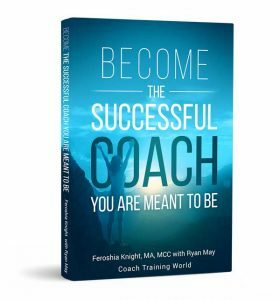 My new book, Become the Coach You are Meant to Be, is a launch pad for entering the world of professional coaching. It’s a step-by-step guide that walks you through the process of cultivating sustainable change through holistic methods – change that begins with you! Packed with real-life stories and sample coaching sessions, you’ll learn how to take the experience and expertise you possess today and transform it all into a deeply rewarding career upgrade or business.